Call me old fashioned, but I still like to hold a book in my hand, look at the pictures time again and, God forbid, underline all the important bits! My collection of books give me a sense of well being. 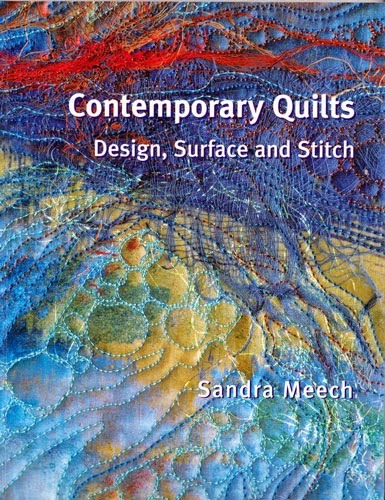 I have taught myself how to do art quilting through books. The following is my top ten titles that have been the most inspiring and useful to myself. If I had to choose only 10 books to keep, these would be the ones. How to gets started, move forward and go deeper in producing the ideas you have in your head. Lots of visual exercises and a wonderful further reading section at the end. 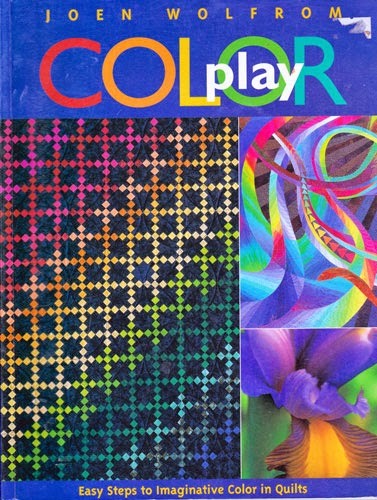 I have quite a number of books about colour and I think this is the best. 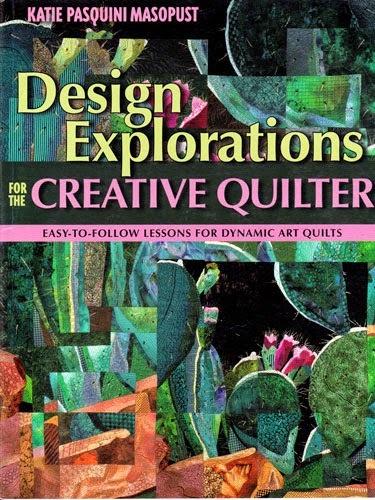 The information is useful for quilters at any level. Joen has also a colour tool which I highly recommend. 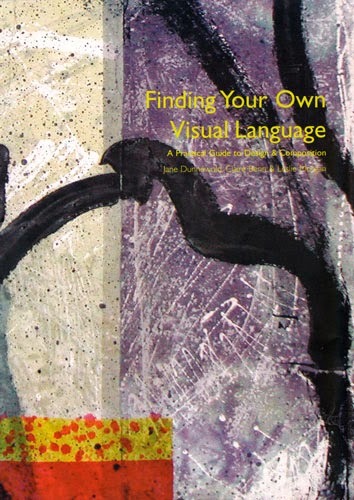 This book is chock-full of explorations in concepts such as shapes, lines, details, repetition and even blind painting! Katie has a range of similar titles; it was really hard to choose which one I liked the best. 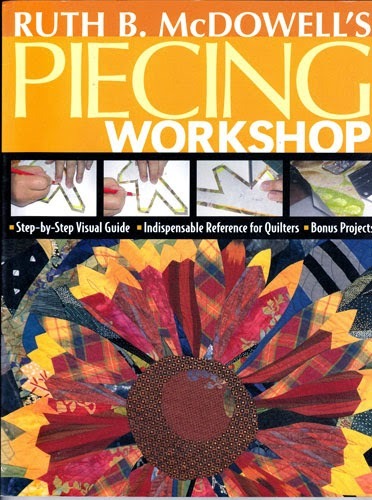 This book revolutionized my art quilting practice.There are no rules and the ‘collage’ technique is fun and easy. 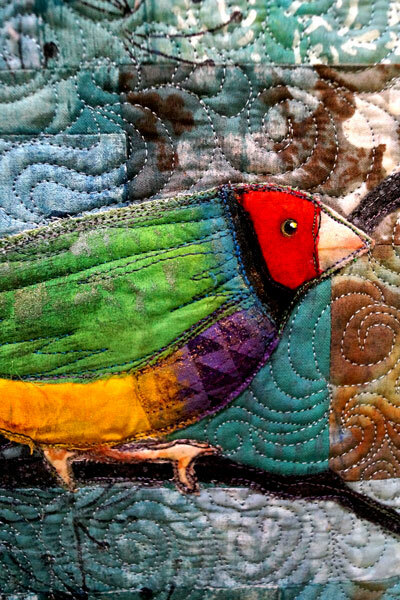 Susan’s quilts are truly inspiring. Katie is very fortunate to have done the workshop with Susan recently. I used this method for the rabbit in ‘Rabbit Proof Fence’ and ‘Dorothy’s Quinces’ (lindenlancaster.com/gallery). Inspiration for creativity. How to create a sketchbook and build up a dossier of design ideas. Developing themes and techniques. Sandra has a number of similar titles. 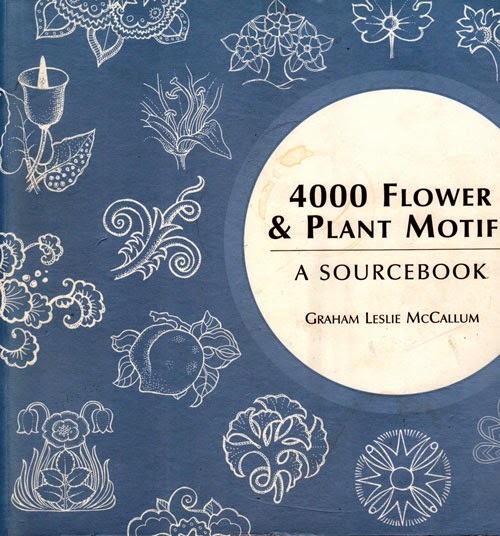 This is the ‘bible’ from this guru of surface design. 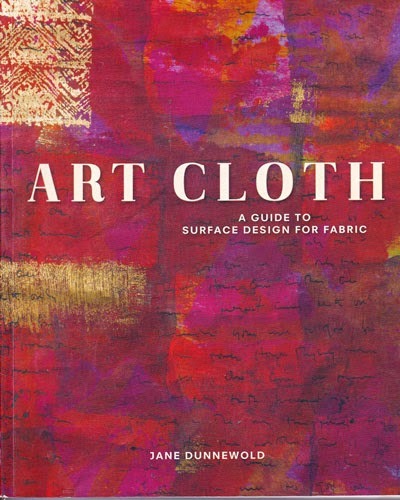 A wonderful reference book for techniques such as dyeing, discharging, screen printing, stamping, stenciling, painting. Supersedes ‘Complex Cloth’. 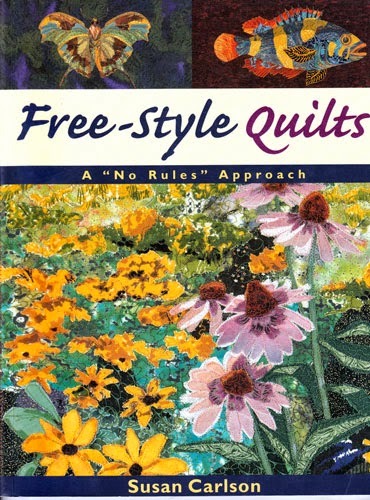 This a guide to free-motion quilting. Create designs using your own doodles as patterns. Add movement and personality to your quilts. The best thing about this books is the troubleshooting guides to solve common problems- I go back to this whenever I am having difficulties. 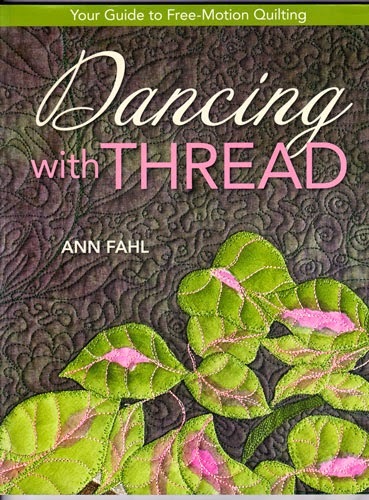 Ann also has a book out on thread sketching (Coloring with Thread) which is also very good. I was so happy the day I found this book. Not many of us have the time to spend drawing from original sources (although I think this is by far the best way for development of your own personal imagery). This has been a very useful resource for looking up designs from different historical and regional perspectives.The designs are copyright free. 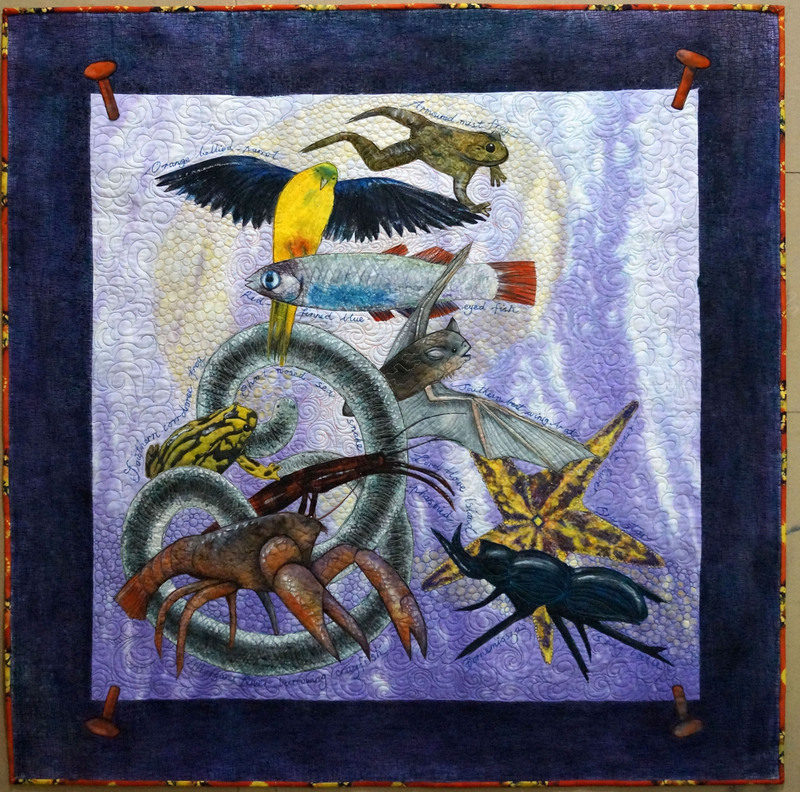 Joan’s quilts are uniquely elegant and inspiring. She shares some valuable techniques on creating soft and hard edges and colour blending. Again it’s all about developing your own style. Although I rarely use Ruth’s methods for piecing, I felt I had to include this author as her quilts are awesome. It would be worthwhile to learn at least the first couple of techniques. Although these techniques are time-consuming, the end results are truly worth the effort. I used this method in the background of my quilt ‘Cameron’s Drought’. As a school child, I was encouraged to join the ‘John Gould Bird League’, and as a result I grew in my awareness and appreciation of birds. It is appropriate that these beautiful jewel-like birds carry the name of this amazing and influential naturalist. Gouldian finches are indeed a kaleidoscope of living colour! Techniques & Materials: Pieced background overlaid with raw-edge applique. Free-motioned quilted with rayon thread on a domestic machine. Mostly hand dyed and ‘surface enhanced’ fabrics, including the use of thermofax stencils and a small amount of fabric paint. This exhibition, curated by Brenda Gail Smith, will be travelling to places in Australia, New Zealand, France and USA. For more details look up the ‘Living Colour’ website. 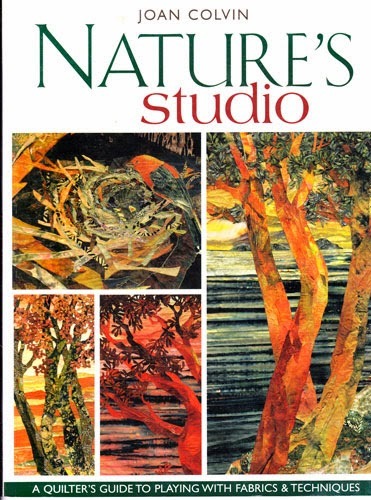 A beautifully presented small format catalogue is available on Amazon displaying all 32 quilts and artists statements.